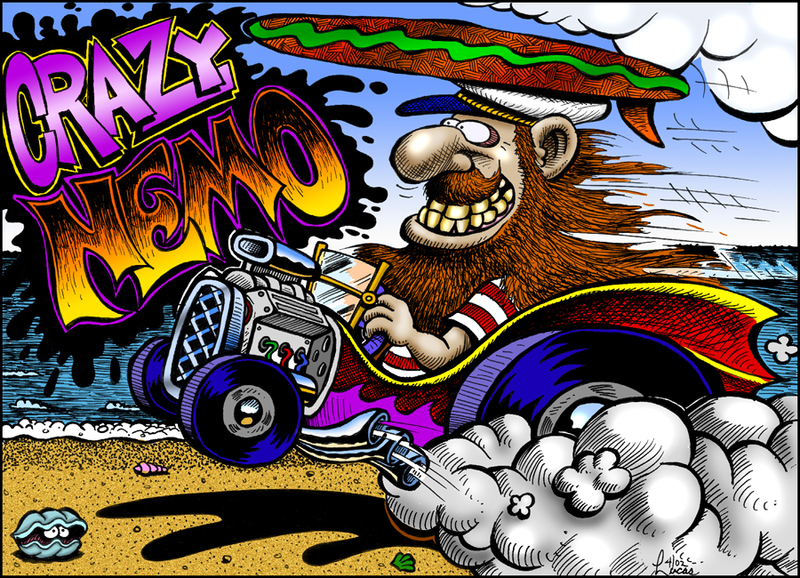 Back in the late 90s I went through this fascination of drawing hot rods and cartoon characters, similar to the work of Big Daddy Ed Roth. I was never a “car guy” but the images of those hot rods and monsters that I saw somewhere in my childhood had stuck with me. Here is a page from one of my old sketch books that I colorized in Photoshop.